Hey everyone! 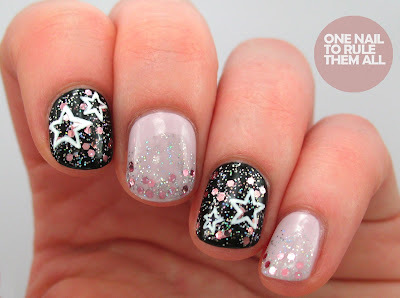 Today I have a simple glitter design to show you, along with a review of a new quick dry spray. First off I'll tell you about the nails and then I'll tell you more about the spray. I didn't really have any inspiration for these nails, I just bought Barry M - Rose Quartz and I really want to use it, so I thought I'd test it out in two different ways, and then I had the idea to put white acrylic paint stars over the top, which I actually really like the look of. The base for this is China Glaze - Liquid Leather and Models Own - Utopia, topped off with 2 coats of Seche Vite. As you can possibly see from the photo below, it's a very large bottle, I'd say around the size of a big hair spray bottle, and it is actually very similar to hair spray in application. To use the spray you apply it to each coat, which I thought would be a bit of a nuisance but it's quick and really helpful for slow-drying polishes in between coats (and I chose two very slow drying colours for this). It definitely works, but the best part for me is the smell, I wouldn't even care if it didn't work because it smells so damn good! Even my mum, renown for hating the smell of everything 'unnatural', said it smelt nice. I've used a few quick dry sprays before and they all smelt like hair spray too, but this is quite a fruity/flowery smell, it's hard to describe. Nevertheless, is does work, and it smells nice, so I got two bonuses in one bottle. 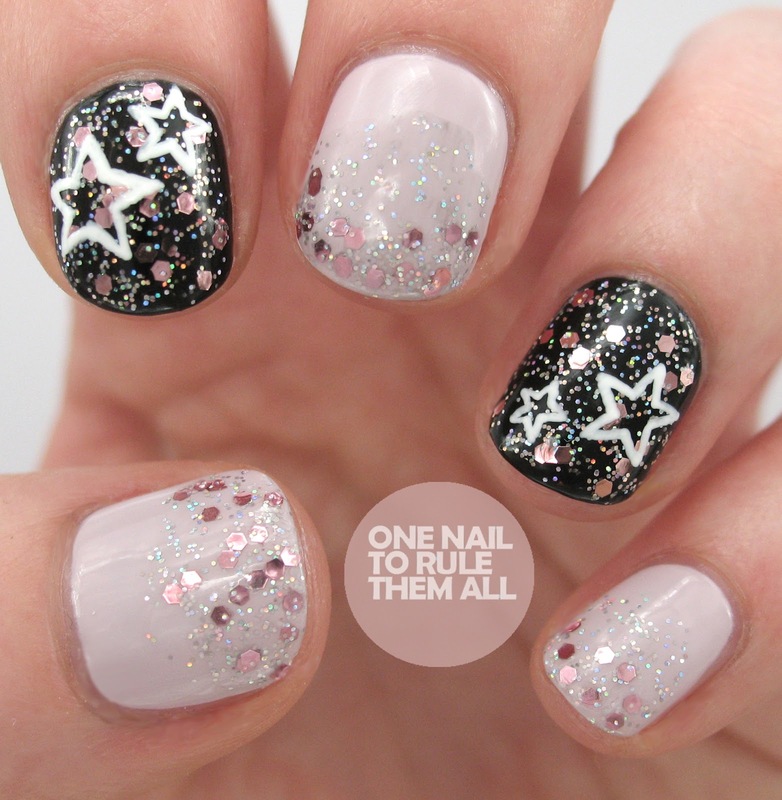 It also leaves your nails really shiny, and if you're brave enough you could probably go without top coat. Love the design especially the drawn on stars on top!!! I've heard of spraying cooking spray on your nails to dry them. Do you think that works? I feel like all it would do is leave a greasy residue. Love that Barry m polish! 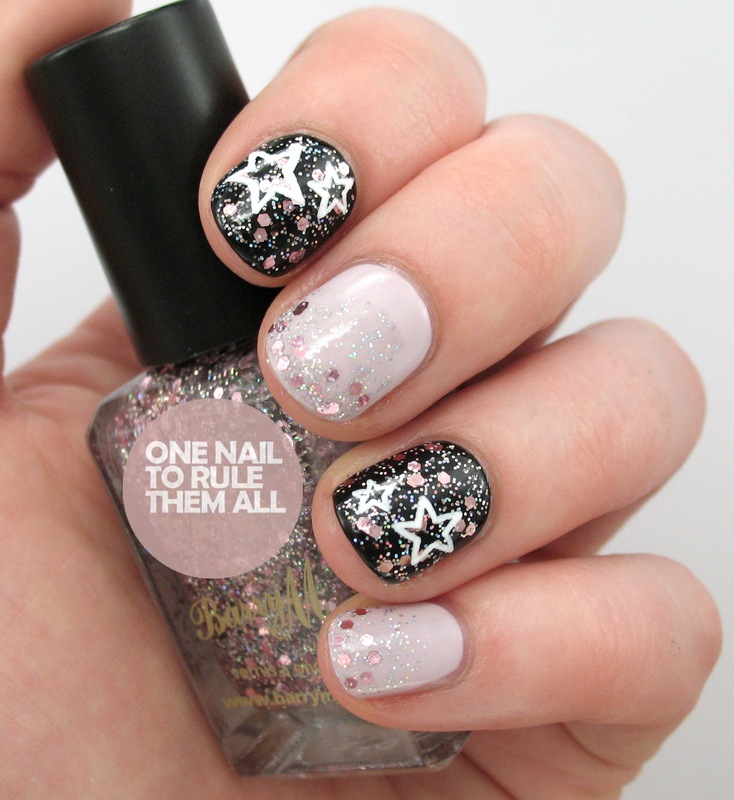 Will have to add it to my collection :) thanks for sharing, gorgeous nail design! This i sooooo awesome. 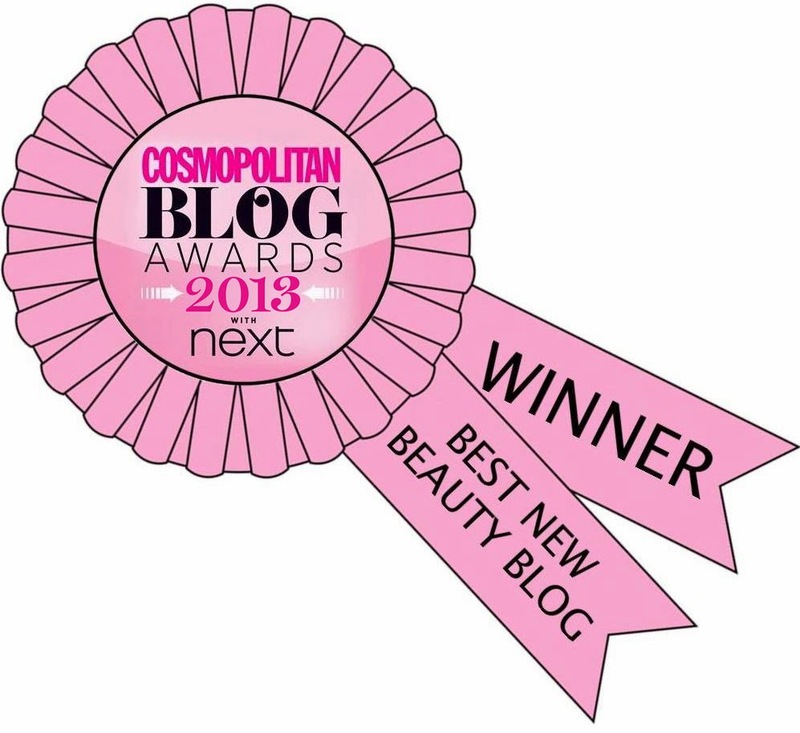 Saw this on fb by modelsown ans needed to have a look at ur blog!